Leave it to M.A.C to whip up one of the most innovative, how-did-we-ever-live-without-this products we've seen in ages! This month, M.A.C. will launch a new, limited edition mascara, Haute & Naughty Lash, which comes with two mascara wands--a small one that's great for a natural look and tiny bottom hairs (attached to the pale pink cap), and a larger brush that adds drama with a capital "D" (attached to the sparkly cap). So genius! And how about that super-flirty, glamour girl packaging? 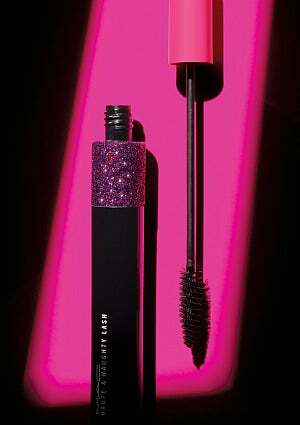 As if we needed more reasons to worship M.A.C... M.A.C Haute & Naughty Lash, $18, is available at Maccosmetics.com and M.A.C. counters nationwide from July 19th until September 16th. Leave it to M.A.C to whip up one of the most innovative, how-did-we-ever-live-without-this products we’ve seen in ages! This month, M.A.C. will launch a new, limited edition mascara, Haute & Naughty Lash, which comes with two mascara wands–a small one that’s great for a natural look and tiny bottom hairs (attached to the pale pink cap), and a larger brush that adds drama with a capital “D” (attached to the sparkly cap). So genius! And how about that super-flirty, glamour girl packaging? 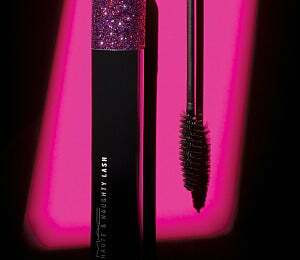 As if we needed more reasons to worship M.A.C… M.A.C Haute & Naughty Lash, $18, is available at Maccosmetics.com and M.A.C. counters nationwide from July 19th until September 16th.